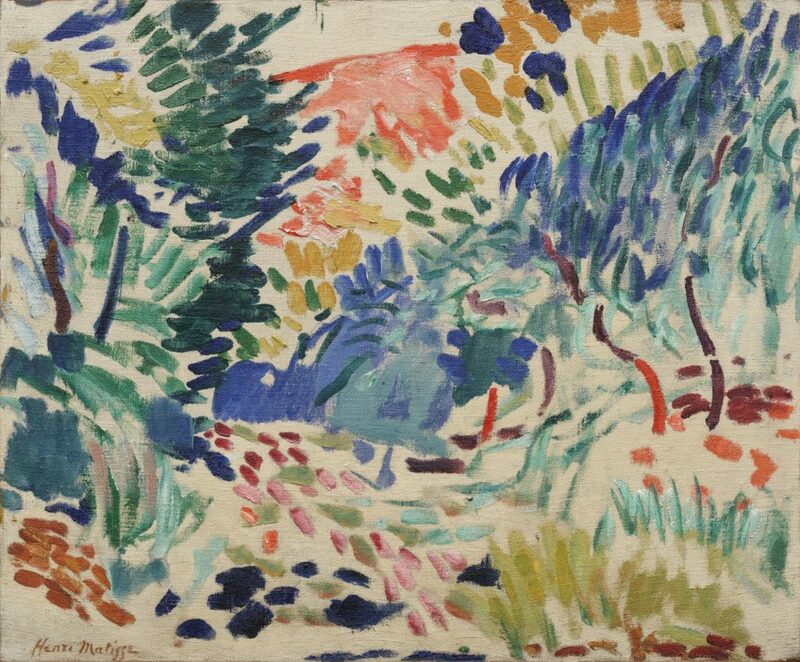 Matisse made a number of ground breaking landscape paintings during his long career. One of the best is this one, “View of Notre Dame.” Part of the intensity of this image comes from the work barely hidden beneath the surface. You see Henri building up the imagery – the arches of the bridges, the casement of the window, the quays alongside the river. And then he covers them with the greasy blue paint smearing the line work to change their meaning. That blue also covers over the disappearing ochre light from below. Matisse takes us along the river right up to the “cathedral” – a primitive Modernist box, scratched and etched into the “space” – which is flanked by a “tree.” Both move from light into shadow. 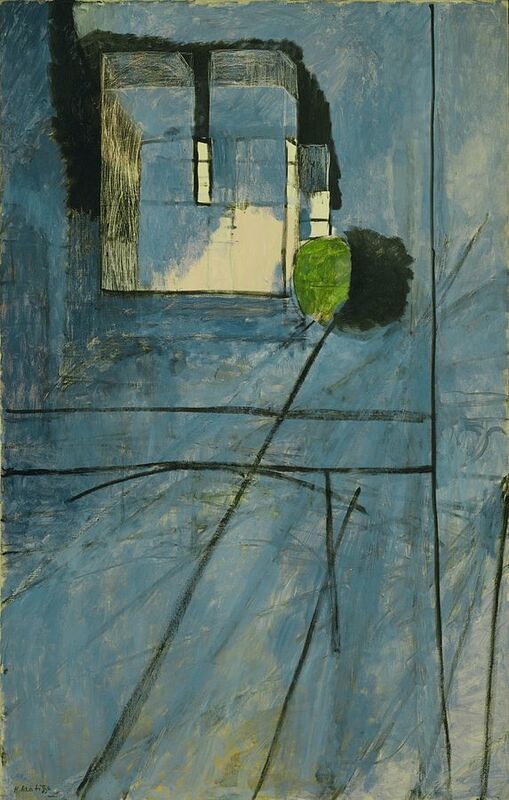 What Matisse is abstracting is not really the world seen from his window, but the time passing before his eyes. He’s not trying to get at spirituality and transcendence like so many abstract painters of the time. He’s painting temporality and entropy. In Landscape at Collioure Matisse’s ambition is moving him beyond Neo and Post-Impressionism into something more difficult. In the Collioure landscape there’s the Fauvist color of course, but the painting is a sketch – very fast brush, dashes and flicks all over the surface – no perspective, no illusion – hardly any over painting. It’s all done in one sitting in order to record the moment. It’s 1905 and Matisse was spending more and more time in the south of France. He was looking for something more from his work, something more than Signac’s Divisionsm and his ambition was taking him through a tough patch. He suffered anxiety and insomnia and was close to a breakdown. His family was in a state. That’s when Henri reached out to his friends in Paris. It was Derain who answered the call, and came to visit almost immediately. The two set to work and used Collioure, its light and color to dismantle the past. That summer of painting changed everything for Matisse and Derain. In fact it changed everything about painting.